NRC and Zwift have teamed up to host an in-store, live event on February 21st! What is Zwift? 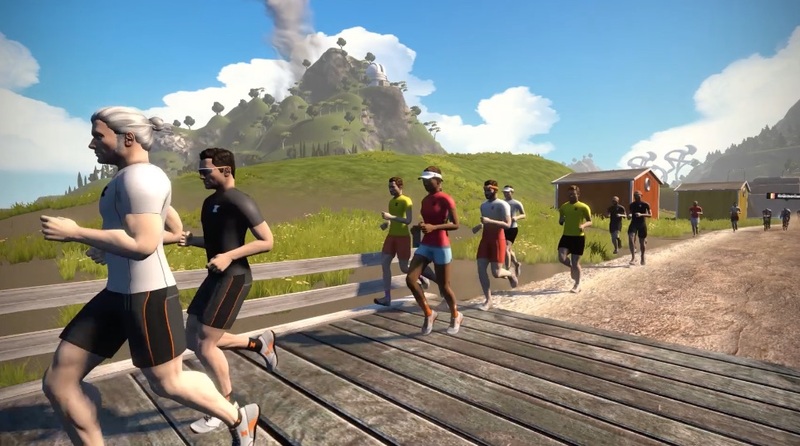 Zwift is a massive multiplayer online running video game and physical training program that enables users to interact, train and compete in a virtual world. On Thursday the 21st at 6 PM, you'll have the opportunity to watch NRC team members race, run and have fun on Zwift! The Zwift team will be here to answer all of your questions about the virtual running platform too! Can't make it out the door but still want to participate? You can run with us from anywhere as long as you have access to a treadmill and a Zwift Run Pod. - There will be four different pace groups from 5 to 12-minute pace. - Run is open to join anywhere in the world - all you need is a pod! -Zwift Run is free! All you need is the Zwift Run Pod - available at all three store locations. -Still not sure? Stop in and join us for a taco bar from Front Street Cantina and let us answer your questions!